Our focus at Roth Restaurant Supply is YOU. We have found that the best way to keep customers, is to have the products in stock and a knowledgeable staff to assist you. Our sales staff has over 70+ years in Restaurant Supplies and Service industry. We don't just sell you products like many online vendors, we assist you with set up, maintainance, and warranty all beginning with fair pricing. If you're looking to open a new restaurant, remodel a commercial kitchen or just enjoy being an amatuer chef, we can assist you. 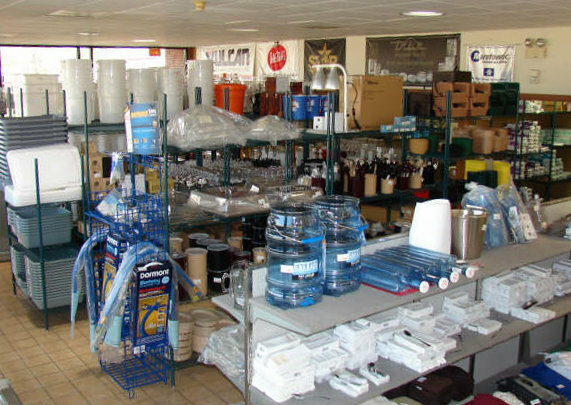 Roth Restaurant Supply opened its doors in 2005. Gary Roth had been in the restaurant supply business since 1975. In partnership with his son's investment group, he had the opportunity to start his own store. January 1st of 2017 the business was sold to Scott Coleman but the name and the great service are still the same. Gary oversees daily operations at Roth Restaurant Supply. With his many years of experience you will quickly find him to be an honest person, whose opinions and advice you can trust. Charlene James has been with Roth since 2011. Her friendly voice is the first voice you hear when you call or walk through the door. She will help assist you with all your billing questions and sales needs. Ted Hornbuckle joined our sales team in February 2006. Ted's 25+ years of restaurant sales experience can help you with whatever your needs may be, all with a friendly smile. When you walk in the door at Roth, we want to call you by name. You're not just another customer at Roth, you're family!